KLM, the flag carrier airline of the Netherlands, is known for its unique social media campaigns. Last year, the airline held a contest on Facebook that allowed Canadian Facebook users to vote for the destination they would most like discounted airfare for. The winner was Turkey, Istanbul, and airline tickets were just $750 including taxes. KLM ran the contest again this year, the winner being Lisbon, Portugal for $850 including taxes. The contest is helping to build the KLM brand image, and is a perfect example of a company listening to the voice of its customers. 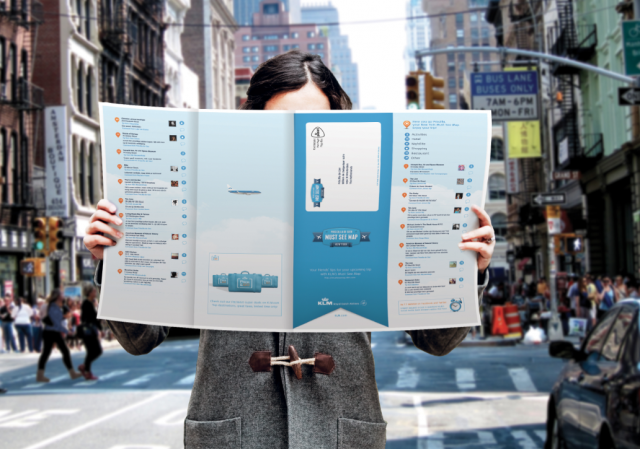 Another cool social media campaign launched earlier this February was KLM’s “MUST SEE MAP.” It’s a map made by consumers (for free), and allows users to collect the best tips from friends for upcoming trips. It takes three weeks to receive, and though it doesn’t exactly encourage spontaneous travel, it is a great way for KLM to engrave itself into a consumer’s future travel plans. My personal favorite is the KLM Travel Predictor. The KLM Travel Predictor uses your Facebook data to predict your next destination. Though the predictions are nowhere near close to accurate, it is interesting to see how your Facebook friends’ status updates can influence the prediction. These are just a few examples of the unique ways KLM is interacting with its customers. With 4 million fans on its Facebook page, KLM is clearly doing something right!